URBAN DORZ produces world class range of windows & doors including Balcony Doors, Folding Sliding Patio Doors, Composite Doors, Turn Windows, Tilt and Turn Windows, Sliding Doors and Windows, Vertical Sliders, etc. The parent company GTS has been engaged in providing high quality Architectural solutions in Indian market since 1994. Having made its presence felt with successful establishment of world's leading German brand DORMA in North Indian market, GTS spread its wings to take off to newer heights and expanded its product horizon with a view to bring latest technologies & high class products backed with high standards of services for which GTS has always been known for. With this view, URBANDORZ was born in 2009. GTS initially teamed up with ALUPLAST from Germany and launched URBANDORZ, and is now a preferred fabricator and retail partner with REHAU (Germany), to provide an innovative, durable, and elegant solution in uPVC fenestration. URBANDORZ is a team of young professionals working at state of the art German automatic plant producing world class fenestration products. In partnership with REHAU, URBANDORZ also brings in a host of innovative technologies like Radiant Cooling / Heating Systems (Under Floor cooling & heating systems) to maintain indoor climate with eco-friendly green technology. GTS has Introduced to the Indian market the world's most exclusive product in architectural applications - the Stone doors from Tueren-Art (Germany). These doors are an epitome of beauty and display the marriage of technology and nature at its best in the vast array of choice of natural stones it offers. We have also partnered with companies such as Fundermax, to bring attractive and innovative HPL (High Pressure Laminates) to beautify building facades. FUNDERMAX HPL comes in wide range of finishes, colours and textures to enhance your beautiful homes. To be the premier provider of the widest range of doors, windows and architectural solutions, supporting the fenestration industry and architectural fraternity with being the best solution supplier, thereby fulfilling aspirations of households and home owners for their dream homes, striving to surpass our competitors in quality, innovation and value, and elevating our image to become the best known brand for products in fenestration. For achieving success, we shall anticipate and respond fast to the needs of our customer, impart Information & guidance with the best representation of brand, supply at a price which gives value for money and enhance the relationship with satisfactory installation & after-sales service. In order to meet the customer's needs, we shall try to exceed their expectations & create lifelong relationships. "To be a dominant supplier of Fenestration and be a market leader to provide widest solutions for Safety, Security, Comfort, Luxury and Energy Efficiency all around the doors & windows." URBAN - DORZ's Brand popularity and leadership lies with the intrinsic values of quality and business ethics followed by the company at every stage of its business processes ranging from manufacturing to finishing, distribution and marketing at the products. Urban Dorz windows adhere to International safety standards vis-a-vis DIN 53479, DIN ISO 239 TI, which translate to impact resistance from external sources. Also the windows are safe for the environment too by being lead free and 100% recyclable. As a safety policy we recommend a minimum of "tampered" safety glass ensuring safety of the inhabitants of the building. URBAN - DORZ windows also conform to the fire safety norm DIN 4102 ensuring the self-extinguishing behavior. URBAN - DORz Windows come with multipoint locking hardware with or without cylinder locks as per specific requirements. All the window-hardware assembly are carried out in a way making the break-in virtually difficultf or someone with not good intentions. URBAN - DORZ uPVC doors and windows have an extremely low thermal conductivity. Thus ensuring that the energy losses through the doors and windows are minimized and electricity costs for cooling / heating the space is reduced considerably. The indoor comfort is markedly improved due the low conductivity. With the help of appropriate glazing, URBAN - DORZ uPVC windows can provide a noise reduction of upto 45 db. And in some special cases a sound reduction of as much as 53 db is possible. Thus making the system highly suitable for hospitals, hotels, schools. commercial and residential premises. URBAN - DORZ uPVC window systems conform to weathering stability standard RAL - GZ 716/1 which ensures the color stability even after so many years of external use in scorching sun rain and harsh climatic conditions. Which in-turn mean the windows are virtually maintenance free and are highly durable. The window profiles and hardware are corrosion resistant, termite resistant and do not reactto acid, alkali and chemicals. URBAN - DORZ has its state of the fabrication unit at Kundli (Haryana) at the Delhi border on Nh1 amidst, serene and natural surroundings. Equipped with latest German Machinery, our state-of-the art fabrication unit designs standard and high quality uPVC Doors and Windows. Manufacturing is just one part of our umbrella which is completed by our exclusive precision installation and after care services. To support the fabrication to the next range of installation, URBAN - DORZ has in-house installation team, supervised by skilled and efficient trainers from Germany to manufacture world class windows with internationally accepted installation norms. Our team of hi-tech professionals completes the precision installation as per customized decor needs of our customers to their complete satisfaction. To boost our infrastructure and production, URBAN - DORZ has tie up with international partners, for sourcing its various components and accessories for doors and windows, thus ensuring a continuous influx of knowledge and latest technologies fitting for the Indian market requirements. Additionally, we are supported with an excellent logistics and transportation thus reducing dependence on outsourced transportation. To showcase our extensive and elaborate product range of uPVC Doors and Windows, we display all the products and news models at our showrooms located at different places. FENESTRATION & FAÇADE CLADDING solutions for modern buildings. Modern Residential Architecture is pushing the design limits in a home beyond the borders of its rooms. Fenestration & Facades were mainly driven by the pursuit for opening up a home towards the surrounding natural landscape, as well as for ensuring a high level of transparency and allowing natural light inside. With constant technology uplifts, both these elements do not just serve an aesthetic purpose, but can also answer major house demands, such as the need for security, acoustical performance, thermal insulation and sustainability. We at URBANDORZ, since our inception in 1994, have always endeavoured to provide exclusively high quality Architectural Solutions. We have vast experience to represent reputed German brands in Indian market. In technical tie-up with world leader ALUPLAST (Germany), URBANDORZ launched window systems which feature Easy-care materials, variable designs and outstanding thermal & sound insulation. Whether you are constructing a new home or upgrading an existing building, URBANDORZ windows with ALUPLAST systems have a perfect window to suit your requirement. We also bring to you Stone doors from TUEREN-ART (Germany) with elegance and special workmanship, the products designed without compromise. Needless to say the high-end architectural application in the field of building technology is clearly visible in this range. The product showcases the fusion of raw natural beauty and technology in the most subtle designs. Now we have partnered with FUNDERMAX (Austria) to offer exclusive Façade Panelling systems. This is a High quality large format panels for cladding balconies & building facades. Individual Décor panels with weather protective coating feature decors that can be designed to individual taste. When you choose URBAN - DORZ, you are assured of service, customer care and technical support, which are second to none. From advice on selecting the most appropriate application of window, compatible hardware for your project to technical support during installation and followed with customer care afterwards. Our focus on quality is reflected in our processes, systems, products, innovations and services. For this purpose, we are constantly creating a working environment that encourages our employees and suppliers to prevent defects and pursue excellent performance. Our dedication to customer satisfaction gives you total confidence at every step of the way. UPVC doors and windows are the new in thing these days, most of the time it is seen that a particular item of use gains a lot of prominence because of the design or just the physical appearance. But in case of these doors and windows it is seen that the functionality is given as much importance as it’s the appearance. They have gained a lot of popularity over the years. They are been used in various commercial buildings including malls and hotels, to residential buildings as well. We at Urbandorz ensure you that here are numerous benefits of choosing these UPVC doors and windows over the fittings made from the convectional materials. One of the most common problem faced with fittings made from convectional material is that they are not durable enough to withstand the effects of time and weather. But these UPVC doors and windows are made from very durable material that is wrapped around a steel core. This helps them to stand the test of time. Even though the initial cost of installation might be higher than normal, yet it is much more economical for the longer run. We at Urbandorz know that installing a certain type of fitting is not the end game. You need to remember that you need to put in a lot of work to maintain it properly. It is important to note than conventional materials like wood and still often fall prey to damage and needs a lot of careful maintenance to make it last long time. When it comes to UPVC you can easily install these fittings and completely forget about them. You will not have to bare any extra expenses on the cost of the maintenance. They just need to be cleaned once in a while with a damp cloth. In an age where the effect on the environment is given a lot of importance, it is important to note that these UOVC fittings are very environmental friendly. The UPVC doors and windows sold at Urbandorz are wonderful insulators of both heat and cold. This ensures that they keep the heat inside the room during winters and keep a room cool during summers. Thus you will not only be saving energy but also ensuring that you have to pay less for your electricity bill. We sell UPVC doors and windows in many different styles. You can use these in your homes in place of the convectional fittings. Our designs also help you to keep your homes safe and secure from intruders as the fittings are designed in a very efficient way. Thus there are numerous benefits of the UPVC doors and windows sold by us at Urbandorz. One of todays greatest home innovation in the Tilt &Turn window of Urban-Dorz is its dual action. The window tilts in at the top to provide cross-flow ventilation and then, with the simple turn of the handle, opens wide like a casement window for easy cleaning. With dual seal construction and multiple locking points on all four sides it offers great thermal and acoustic protection, added security and excellent protection against the elements. The tilt and turn window is particularly popular throughout residences, commercial and in multi-storeyed buildings. The maximum size for our tilt and turn windows is 1400mm wide x 2400mm high. Our fixed windows are a great way of bringing light and views into a space without compromising thermal efficiency. These can be as large as 3000mm wide x 3000mm high. They provide the most cost effective way to open up a facade, while maintaining high thermal and acoustic insulation characteristics. Our awning windows can open outward (Top Hung) or inwards (Bottom Hung) and use friction hinges to stay in an open position. Their modern style is a great way of opening up a room to allow for natural ventilation. Crank shaft drivers can be used on this window for remote location, such as high-lite windows. The maximum size for our awning windows is 1200mm wide x 1500mm high. Our casement windows can be configured to open out. Additional restrictors can lock the windows open. Similarly to the awning window, the multi-point locking system provides zero air infiltration, added security and maximum protection against the elements. Installing Urban-dorz casement windows is a great way to improve ventilation. The maximum size for our casement windows is 762mm wide x 1550mm high. Our sliding windows boast secure multi-locking hardware, single toughened to double glazing, and effortless rolling action. The thin profile makes them affordable, safe and attractive. They are available in 2 or 3 track configurations. Urban-Dorz sliding window range is a popular option for many as it provides modern clean lines and is great for areas where space is limited. They are the most cost effective solution to opening up your home or office. The configuration of the windows offer excellent thermal protection and security.The maximum size for our sliding sash is 1000mm wide x 1800mm high. Most of the people like to live in the best class innovative house so that it will make them comfortable. There are three types of top used window models are used like the Tilt &Turn windows, Norma Series windows, Hopper Series windows and many more. Nowadays many houses have the Urban-Dorz Tilt &Turn type window because of the classic dual actions. The cross flow type ventilation is also very simple for using the handle and this is also compatible for the multiple locking points and for the dual seal construction. The Tilt & Turn UPVC windows model is also popular for residences, commercial, multi storey buildings and many more. Normally the 2400mm high x 1400mm wide for the windows are selected for this model. The Norma Series window models are the fixed type and it will be the best option for the people who want to view the bringing light or for viewing the space from their house. This Norma Series model is normally in the size of 3000 mm wide x 3000 mm high and this is the best cost effective way of maintaining the high thermal and this is also used for the insulation acoustic characteristics. The Hopper Series is also one of the best types of window and this method can open in the outward or in the inwards. The friction hinges plays an important role in the modern stylish UPVC windows and the size used in this type of window are 1200 mm wide x 1500 mm high. This window can be used in the remote location and it will give a wonderful look in the house or in the commercial buildings. All the UPVC windows give the maximum protection for the property and it is very difficult to break because of its high quality. 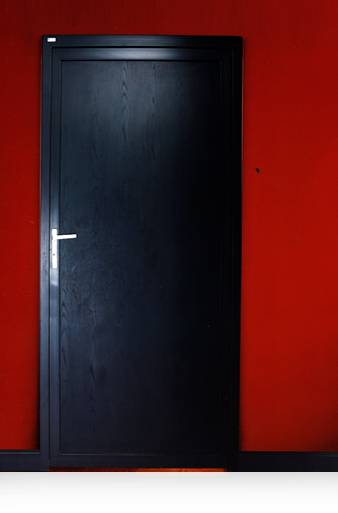 URBAN - DORZ hinged doors are available as single doors or French doors opening inside or outside. They are a great way of opening up your home or office. 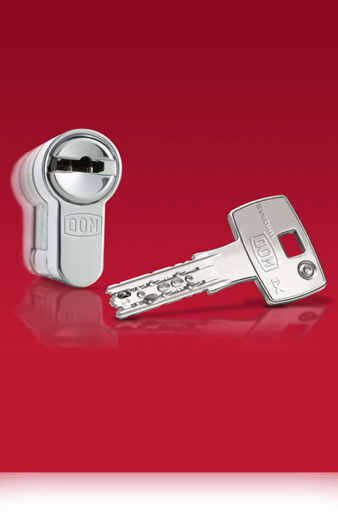 The simple yet elegant design and multi-locking points with an option of single side or double side key lock and MVD cylinder locking system, ensure that our doors will provide you with superior security, and effective thermal and acoustic insulation. Using the correct insulated door systems in your home or office will help maintain a comfortable temperature all year round without the need for mechanical cooling or heating. The maximum size for our hinged door panels is 1200mm wide x 2400mm high. Our Slide & stack door systems can span huge openings.. The sliding door range can realize upto5 to 7 panel configurations, and is the most affordable way of opening up large areas. URBAN- DORZ sliding doors offer an effortless rolling action, great security, excellent thermal and acoustic protection and modern styling. The sliding door range is our most popular seller, allowing for vast areas of uninterrupted views, clean lines and (like all URBAN -DORZ uPVC products) require little maintenance. Our sturdy system can support Door heights upto 3000 mm, letting in flood of light to your living areas. Our folding sliding doors are the centerpiece of our door range. They are available in 3 to 7 panel configurations and can be used in openings up to 5.8m wide and even more in special cases. The dual seals and multi-locking hardware provides an airtight seal with zero air infiltration. This provides the utmost protection against the elements, even along our often harsh tropical weather and coastline. The airtight seals also provide superior protection against any unwanted noise. URBAN - DORZ Bi-fold doors are a greatway of seamlessly linking internal and external spaces and are complimentary to most architectural styles enabling a 100% openable space. The maximum size for each bi-fold door panels is 900mm wide x 2400mm high. 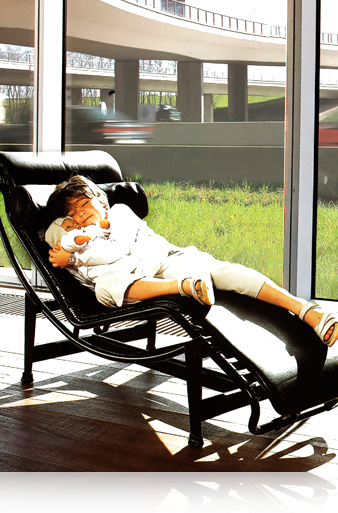 URBAN - DORZ tilt and slide doors are perfect for units that have noise and space restrictions. In its tilt position these doors allow for ventilation and security. This system uses compression seals (unlike sliding doors) which make it the ideal solution to block out any unwanted noise.. The tilt and slide door is a great example of modern window technology. The maximum size for a tilt and slide door panel is 1650mm wide x 2400mm high. These large doors operate in the sliding position, with the weather-stripping engaged in compression, and with the simple turn of the door handle, this will unlock the door and lift it up off the track allowing the door to slide easily without any friction or effort. Lift & slide doors can be made in large sizes which can be opened and closed with the touch of a finger. One single operating handle activates a special hardware system that first lifts the sliding door from the weather tight position then slides with ease on rollers and tracks at the head and sill. The lift & slide doors come with an advantage of ease of operation and secure multipoint locking hardware. A single sash spanning 2.5 meters are possible with this system. The principle applies that the more sophisticated the drilling protection incorporated into the locking cylinder, the greater the security. DOM Sicherheitstechnik offers optimum levels of drilling protection in each locking system. lt goes without say that DOM locking cylinders meet the conditions of specific international standards and guidelines, for example, the European CEN, the German DIN, the Dutch SKG or VdS guidelines. What Exactly is a Master Key System? A number of different locking cylinders, each with its own key, which can all be locked by one or more higher level keys is called a master key system. Modern master key systems are not limited to use only in exterior and interior doors and windows, but can also be used in furniture. DOM Sicherheitstechnik offers a large range of "furniture cylinders". These are elegant and functional, whilst still providing excellent security. The Security Aspect: By allocating specific keys to specific people, security is dramatically Improved. The Convenience Aspect: it is undoubtedly more convenient to have fewer keys on your key ring. The Organisational Aspect: Mechanical locking systems contribute to the maintenance of the organisational structure of an organisation. by allowing specific people into specific areas. FUNDERMAX is one of the most reputed and well-known name for facade cladding solutions, internationally. Fundermax offers the best wall cladding solution for any building - Home, Office Complex, Commercial Property, etc. It is accepted as one of the best solutions for improving appearance of a building facade without compromising inner qualities, by architects and promoters. If anyone is looking for solution in cladding or fascinating High-Pressure Laminates (HPL), Fundermax has a wide range of options. The HPL Panels from FunderMax offer versatile as well as visually impressive solution. Fundermax panels are developed in a well-designed laboratory and manufactured in stringent quality facility in Austria. The company offers a wide variety of colours and surface finishes in these HPL Panels, that are manufactured from particularly tested material to last long. These are manufactured to resist color fasting, abrasion and scratches. Even the extreme temperature variations and climatic conditions in harsh tropical regions can cause minimum problems to the HPL Panels. And it offers a wide variety to Architects and Designers giving freedom to design and create personalized looks to the building facade. The FUNDERMAX HPL products can be applied for wide applications - FUNDERMAX cladding, FUNDERMAX balcony cladding, FUNDERMAX exterior wooden cladding, FUNDERMAX exterior cladding and FUNDERMAX outdoor wooden cladding. As a young, innovative company we have always offered trend-setting ideas and system solutions for high-end architectural application. We achieve this by following new, un-trodden paths in the building technology. We have proven this in the past, and we are determined to do it again. At URBAN - DORZ, we shall continue to bring new, innovative solutions to convert your 'Hole In The Wall" into a functional component of your building. Our Philosophy is simple -"As far as the future is concerned, it is not our task to foresee it, but to make it happen." Our bouquet of Services is geared to support our customers right from Identifying the correct solutions to supply of high quality product and giving Installation & Maintenance services to provide a holistic service experience. Our range of products include International class Fenestration products like uPVC Doors & Windows, Stone Doors, Door Hardware & Architectural Fittings, Glass Fittings & Door Automation solutions.